Pages and pages can be written about the rights of residential tenants, but what about the landlord’s rights? Do they even have any? It seems they don’t sometimes, especially if you’ve ever been to landlord-tenant court and watched judges bend over backward saving tenants from eviction. Know the law, and save yourself time, money and grief. Know the law regarding habitability, registration with the municipality, use of premises. Know when and how you can legally evict a tenant. Know how to properly retain some or all of a tenant’s security deposit without being liable for double damages. Did you know you can actually charge double-rent in a certain situation? Know when a rent increase might be considered “unconscionable”, and therefore unenforceable. 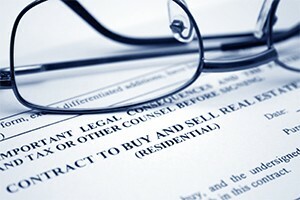 Be compliant with your lease and the law, and the law will be a friend, not a foe. Make sure you have a comprehensive lease, one that spells out your rights and remedies, and … save yourself time, money, and grief. You hope you don’t have to go to court, but if the need arises, does your lease provide for court costs and attorney fees? Does your lease provide for reasonable access to the leased premises so you can make repairs and thus avoid the tenant applying security deposit for repairs you could have made at half the cost (security deposit that you can’t demand be replenished), or worse, the tenant withholding rent altogether? Does your lease spell out the obligations of the tenant so that your property is protected from physical damage? You hope you don’t encounter a situation where you absolutely need an attorney, but the need arises sometimes: you are sued for injury or illness as a result of the property’s condition; you are sued for illegal discrimination or uninhabitable living conditions or unlawful retention of a security deposit; you feel the tenant is taking advantage of the law, to your detriment; you are facing off against an experienced attorney in court. The list goes on. We at the McIntyre firm have years of experience in landlord-tenant matters, both residential and commercial. We can inform you of all applicable laws, represent your rights in court, hopefully, avoid court if it is to your benefit. We can draft a lease that clearly sets forth its terms, with the hope of avoiding conflict by setting forth the rights and obligations of you, the landlord, and the tenant. Talk to us, we’ll help you save … time, money, and grief. Contact us at (908) 264-7220 or moc.qsemfnull@mdf to set an appointment.